Ginkgo Biloba is one of the oldest living trees, and the extract from its leaves is rich in nutrients that can help treat a number of ailments. Ginkgo leaves contain two types of chemicals, flavonoids and terpenoids, which are considered to be potent antioxidants. Antioxidants are believed to play a role in preventing the development of serious diseases such as cancer, heart disease, stroke, Alzheimer's disease, Rheumatoid arthritis, and cataracts. It is no wonder that Ginkgo Biloba is one of the best selling and top prescribed herbal medications in the world. Additionally, Ginkgo Biloba can help to improve mood and coordination, as well as increase energy levels, strength, and mental performance. Studies have also found that it can increase sensations in individuals with multiple sclerosis (MS). Studies have shown that Ginkgo Biloba is beneficial to patients suffering from Alzheimers disease and Dementia, since it help improve blood flow to the brain 1. It can also be used as a preventative measure since it may delay the onset of Alzheimers in people with a family history of the disease. Therefore, a herbal remedy for severe dementia or Alzheimer disease is 80mg of Ginkgo Biloba three times everyday. For minor memory problems, it is safe to take 60mg of Ginkgo Biloba twice daily. Ginkgo causes the blood vessels in our body to dilate, thereby increasing our blood circulation. As a result, ginkgo is a fantastic natural remedy for high blood pressure. Menopause is often treated using hormone replacement therapy (HRT), but this approach has many side effects including an increase risk of breast cancer and irregular bleeding. Recent studies have found that ginkgo extract has estrogenic activity and might be suitable as a harmless alternative to HRT. Therefore, a simple herbal remedy for menopause is to take 60mg of Ginkgo Biloba twice daily on a regular basis. Studies have found that regular use of ginkgo biloba can help relieve migraine pain, since the active ingredients help to increase blood circulation which has a positive effect for migraine sufferers. Some preliminary research has shown that regular use of Ginkgo Biloba may be effective in treating PMS symptoms including emotional shifts and breast tenderness. The flavonoids found in Ginkgo may help reduce or cure the symptoms of some retinal problems including ARMD (age-related macular degeneration) which is a leading cause of blindness in the elderly. It also benefits people with cataracts. A common suggestion is to take 120mg of Ginkgo Biloba extract daily before any meal. Tinnitus is a hearing disorder that causes a sensation of ringing or hissing noises in the ear. Auditory nerve damage and certain blood vessel disorders are often the main cause of this condition. Studies have shown that taking 180mg to 200mg of Ginkgo Biloba daily can help reduce the hissing sounds caused by Tinnitus. What are the Side Effects of Ginkgo Biloba? Ginkgo Biloba does not have any major side effects if taken in moderate dosage. Generally, it is considered safe to take Ginkgo Biloba supplements in range of 40mg to 200mg per day. However, pregnant women should not take Ginkgo Biloba, and it is not recommended for children under the age of 12. It is also not recommended if you are currently taking Warfarin, Aspirin, or any other blood thinning treatment or anti-depressant medication. An overdose of Ginkgo Biloba may cause some gastrointestinal discomfort, headaches, restlessness, diarrhea, nausea, and vomiting. If you experience any of these symptoms while taking Gingko Biloba extract, stop its consumption immediately. Ginkgo Biloba is easily available at most drug stores, and herbal health food stores. It is available in the form of capsules and tablets, dried leaves (for use in herbal teas), and in liquid form (tinctures, fluid extracts, glycerites). ^ Oken BS, Storzbach DM, Kaye JA. The Efficacy of Ginkgo biloba on Cognitive Function in Alzheimer Disease. Arch Neurol. 1998;55(11):1409-1415. 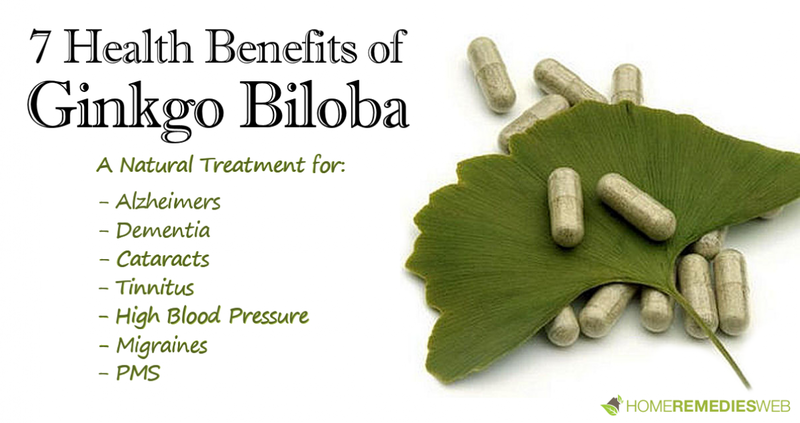 I have never taken Gingko Biloba tablet before but I read about its health benefits and I am convinced. I will start taking 60mg and will update you all.